Waterwatch in the Mary River Catchment. 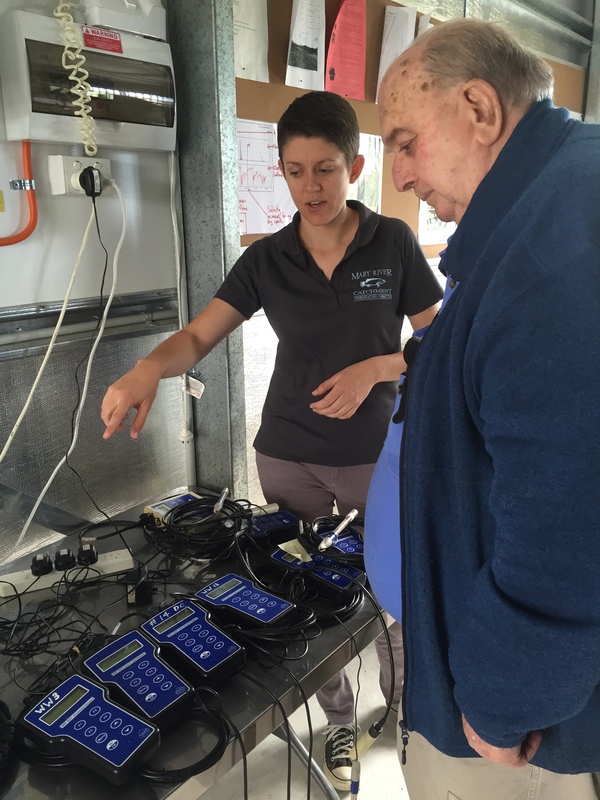 The monthly data collected by Waterwatch volunteers provides the MRCCC with detailed information of baseline water quality throughout the catchment. During 2017-2018, 105 individuals, families and businesses collected data in 8 distinct network groups with 756 samples taken. Thank you to all the volunteers who have helped out with the program over the last year. The efforts of landholders, local businesses, councils and other organisations who support the program financially and in kind is greatly appreciated. Thank you also to Ian Mackay from Moy Pocket and Garth Jacobson from Tiaro who represented the Waterwatch Sector on the MRCCC for the past year, and have assisted with the logistics and promotion of the Waterwatch program. Welcome to new Waterwatch Delegate, Antoinette Augustinus from Mooloo. Antoinette is a very welcome addition to the waterwatch network and to the MRCCC committee. In addition to physical and chemical data, Waterwatch volunteers record observations of Mary River aquatic fauna species, e.g. turtle sightings, water weeds and general river flow conditions. This information is recorded in the MRCCC Waterwatch database and information is provided for other MRCCC initiatives. In October 2018 the MRCCC held a Catchment Crawl with participants travelling from the headwaters to the river mouth over 2 days. An overview of the data gathered can be accessed here. The full report will be added to this page once it’s completed. Numerous Waterwatch volunteers assisted staff to collect data at various sites throughout the Catchment Crawl. Financial support for the program comes from Gympie Regional Council, Sunshine Coast Council and HQPlantations. Community sampling is supplemented by data HQPlantations collects from the Toolara and Imbil forestry areas and QP&WS collects from Conondale National Park. These areas include tributaries with quite unusual characteristics covering large areas of the catchment. The information HQP and QP&WS staff provide helps the MRCCC to gain a holistic picture of the Mary River catchment. The logistics of moving water testing kits in and out of Gympie, and between diverse locations, on a reliable schedule would be a challenge, without the support of many local individuals and businesses. 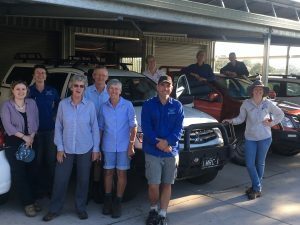 The MRCCC is grateful for the assistance of Sauers Garden Produce Gympie and Cooroy, B & H Rural, Tiaro, Goomboorian Matilda Petrol Station, Ross Creek Store, Widgee Store, Amamoor Store, Barung Landcare, Mapleton Realty, Conondale Store and the Kenilworth Garage for holding and transporting kits for volunteers to collect. There will always be additional locations to be monitored and retiring volunteers to replace. If you have easy access to a section of the Mary River or one of its many tributaries and are able to contribute 1 hour a month there will be space for you.